We have been discussing coordinating with the UNRWA (www.unrwa.org) to assist them with projects which are similar to our own. In the coming months we will be meeting with UNRWA officials to plan the shipment of school supplies to help Palestinian children in Gaza, as well as any other project with which we may participate. We will keep you posted as things progress. 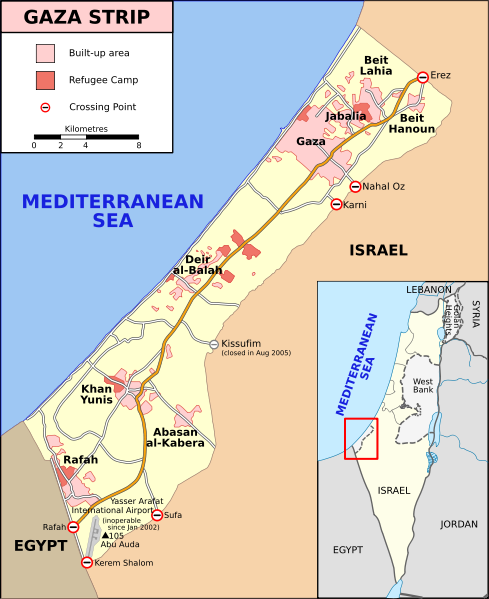 According to NGOs operating in Gaza, however, estimate the number to be closer to 55,000. Whether you support us, the UNRWA, or any of the many dedicated nonprofits providing aid to the people of Palestine, please donate what you are able. As soon as we have a better idea of what supplies are most needed as we will post the information on our blog, so please keep an eye on our site. Japan Still Needs Your Help! Nippon Cargo Airlines(NCA, head office in Narita-shi, Chiba ;President Tetsufumi Otsuki) has decided to offer charitable transportation of relief goods supplies for earthquake in Japan occurred on 11 Mar, 2011 as a humanitarian undertaking. The details are shown bellow: 1. Route and Flight: There is no particular restriction to departing country or region of the cargo, provided that the cargo should be brought and carried, at consignor’s (shipper’s) responsibility and cost, into NCA at the airport from which NCA has its scheduled operation. 2. Requirements for application: a) Shipper and consignee : Limited to non-profit public organization such as Red- Cross, Government agencies and so on. b) Document : Contact details for both of shipper and consignee, pieces, weight, and commodity are to be clearly declared. c) Sector : Both origin and destination are to be NCA online airports. (In this case, destination should be NRT only.) Surface transportation including custom works from/to airports is to be properly arranged by applicant. d) Acceptance : Relief goods must be tendered in “ready for carriage” condition with necessary documents by applicant. e) Commodity : Limited to relief goods such as tents, blankets, garments, medical supplies, survival foods, drinking water and so on. Dangerous goods, perishable goods, live animals and other special cargo are not acceptable. f) Weight and volume : Weight and volume per AWB are to be less than 1,000kg / 6 cubic meters. g) Status : The departing flight of the aid supply should be subject to the flight availability. 3. Term applied this notice Effective from 14 March, 2011 to 14 April, 2011. Further notice shall be issued in case the term to be extended. We ask that you donate what you are able. If you can ship your donation to our facility in Raleigh, NC, before June 11, we will immediately dispatch all humanitarian aid to an NCA collection point. If you happen to live close to an airport in which Nippon Cargo Airline maintains a facility please contact them directly, verify that they are still shipping humanitarian aid, and deliver your donation to them via personal means. The Fishermen wishes to thank you for your generosity!